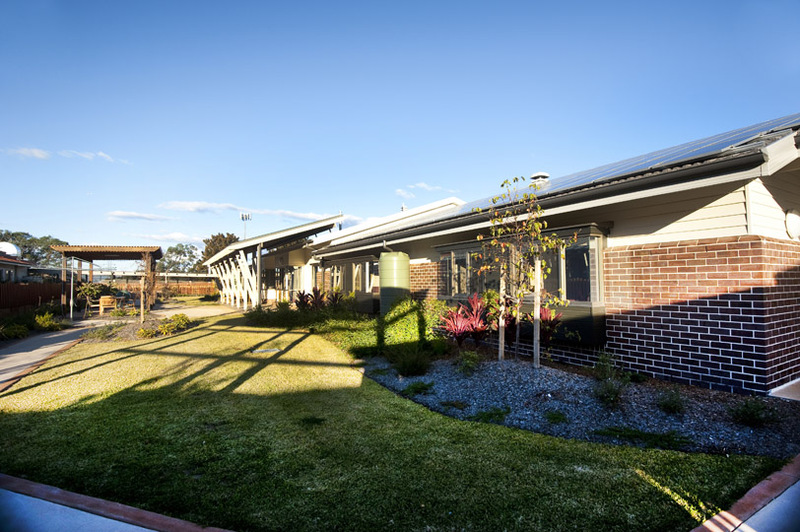 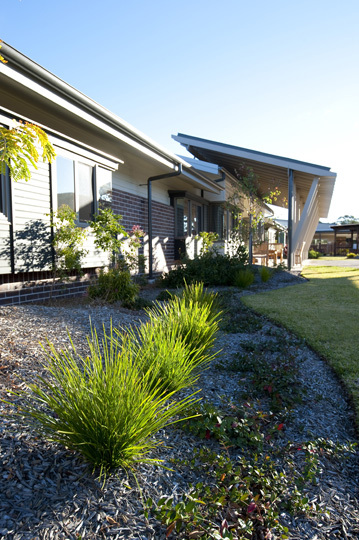 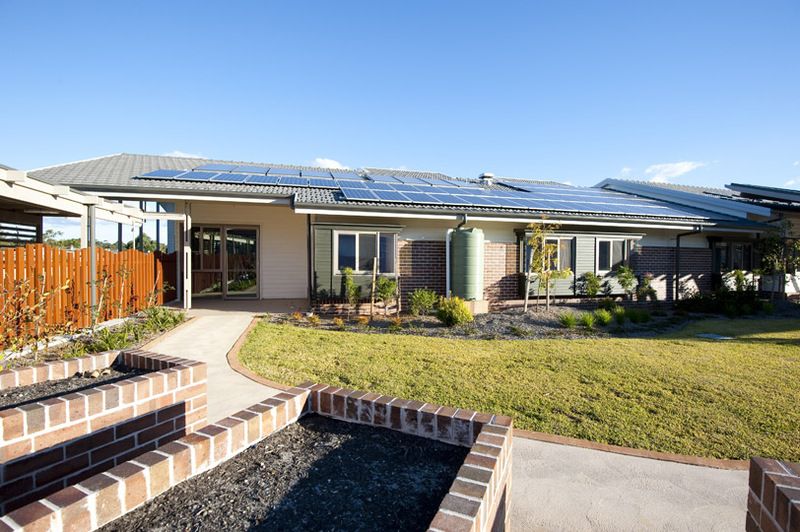 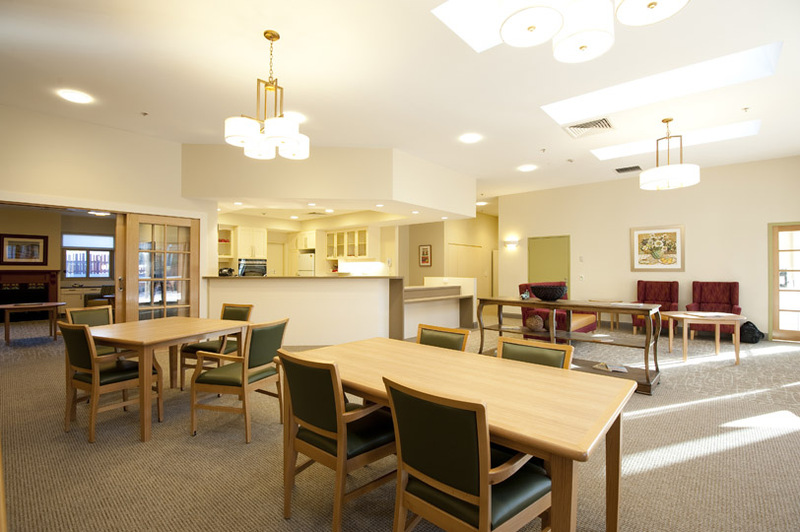 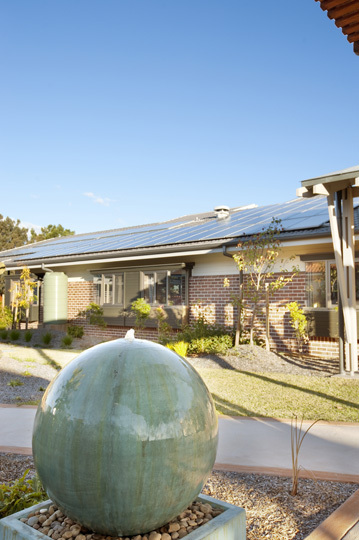 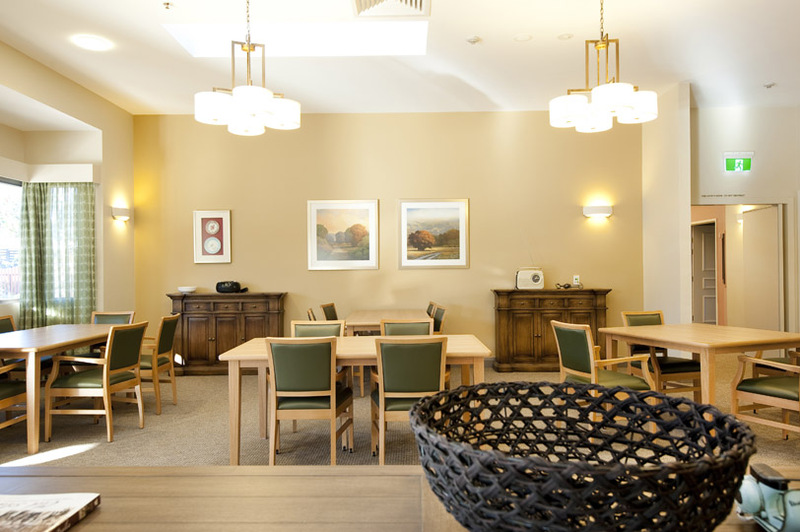 HammondCare Miranda is a new state-of-the-art, 92 Bed Residential Aged Care Facility located between Kiama Street and Bellingara Road, Miranda. 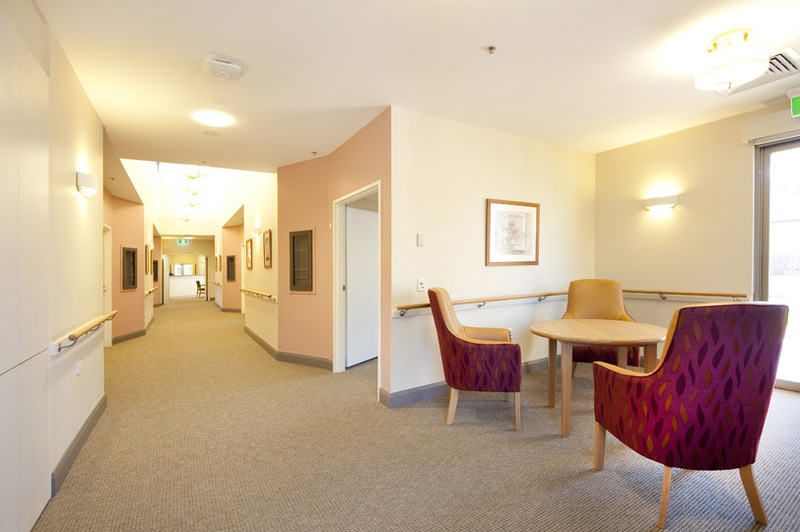 The facility not only features 92 highly detailed bedrooms that cater for both high and low care residents, but incorporates many shared space areas for residents, staff and visitors; including a chapel, hairdresser, kitchen facilities, dining rooms, lounge rooms and sitting rooms. 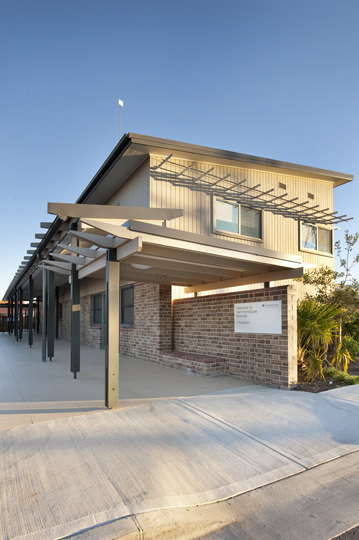 The facility features a highly detailed level of finish and modern architectural attributes, which is evident when arriving at the main entry; powdercoated woodgrain finished slatted fencing, modern Shadowclad vertical strip timber cladding, and fly roofs featuring zinc sheeting, imported from Germany with standing seam joints. 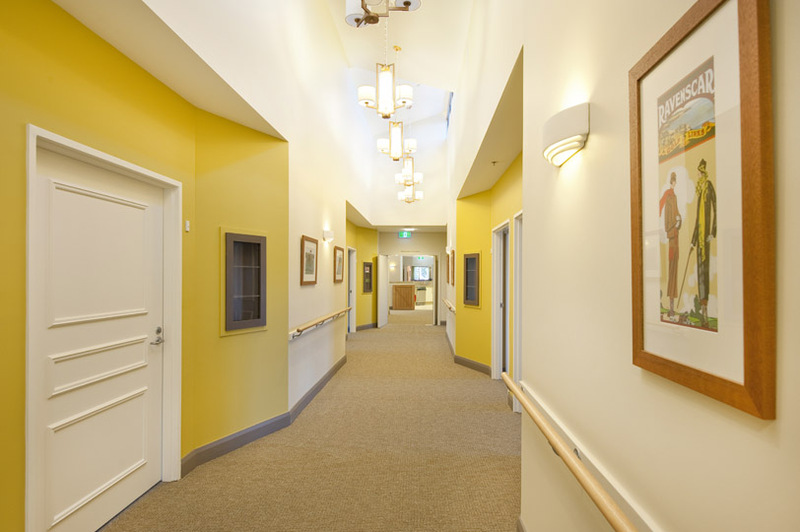 Custom joinery doors to the house building entries lead into modern and luxurious corridors, with feature carpet and inlaid patterns. 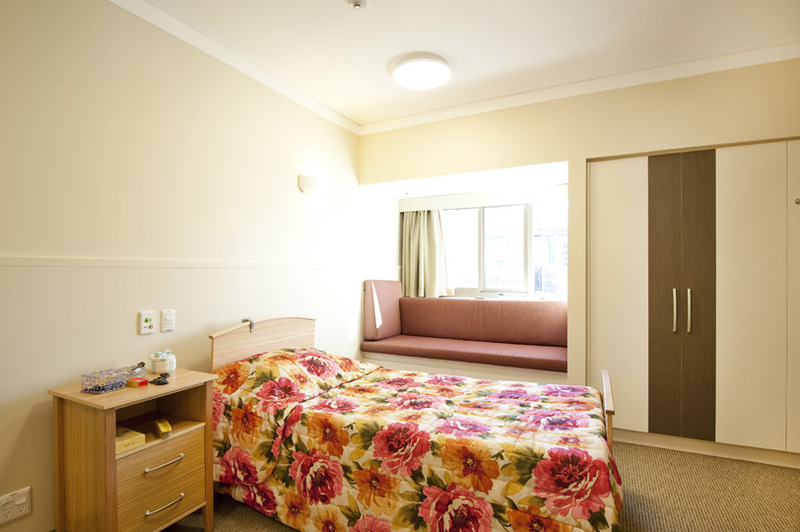 The bedrooms have private ensuites, individual wall mounted memory box units and custom made joinery units and furniture. 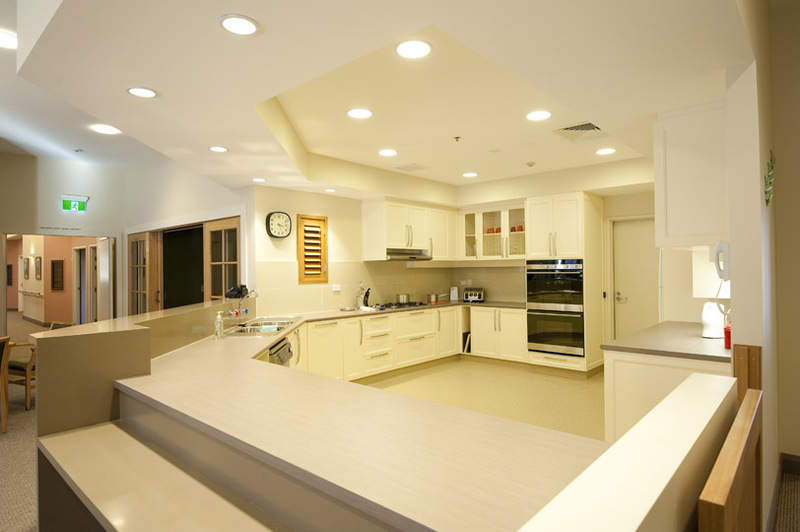 Fully equipped kitchens to each house building contain freezers, fridges, imported appliances, and a high quality custom joinery finish. 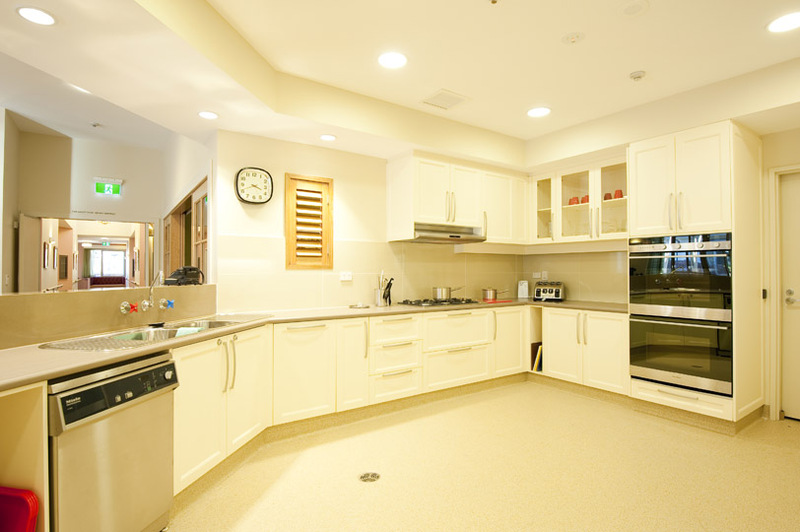 All residential houses have been designed with state-of-the-art nurse call systems, advanced lighting systems, and modern high level electronically operated glass louvre systems in the ceiling voids. 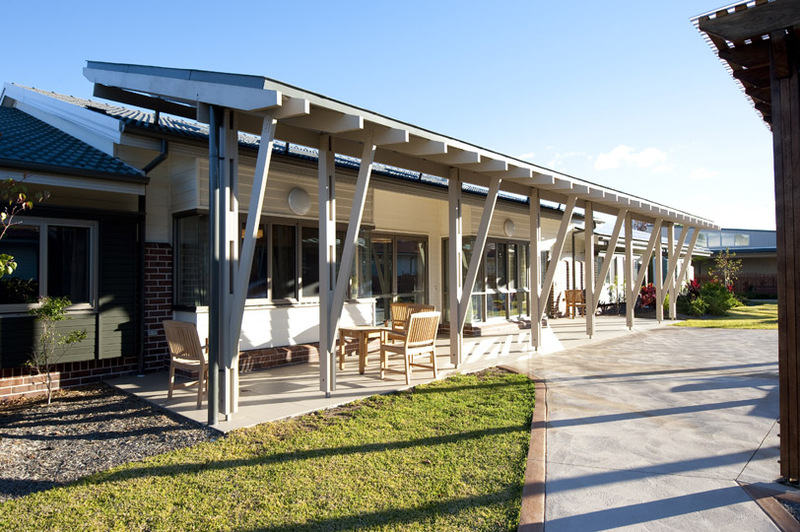 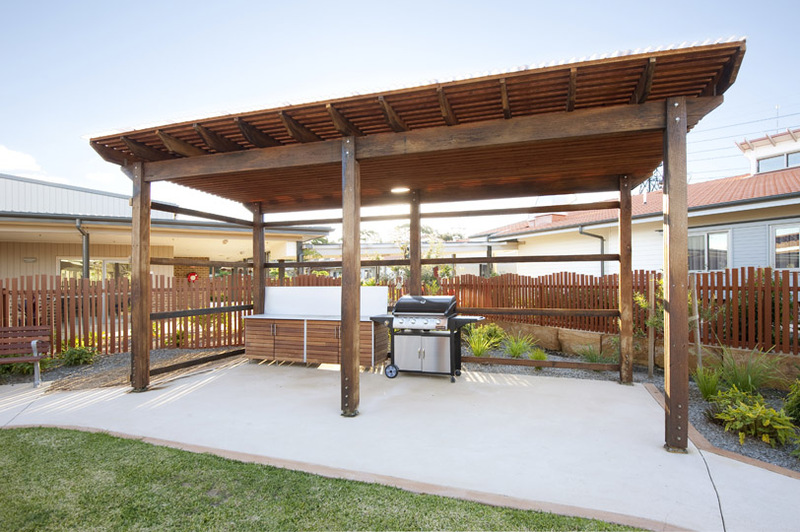 Externally, the large courtyards have been paved with coloured concrete and are surrounded by rustic timber feature pergolas, resident tool and work sheds and raised planter boxes for resident interaction. 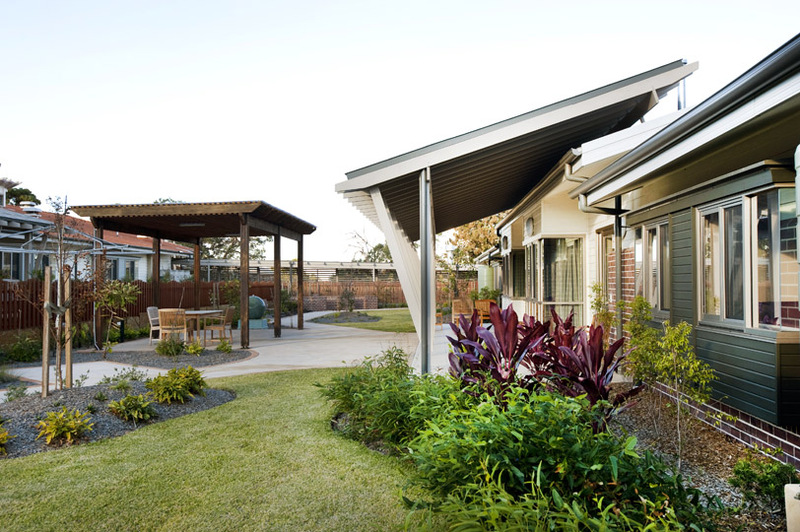 Covered services links join all buildings creating a weatherproof means of access to all areas.